In Italian, cerasuolo means cherry-red. The word also appears in the names of two appellations. Cerasuolo d’Abrruzo is a Multepulciano-based rosé from central Italy. Cerasuolo di Vittoria is a red wine from southeast Sicily, specifically the province of Ragusa and parts of Caltanissetta and Catania. 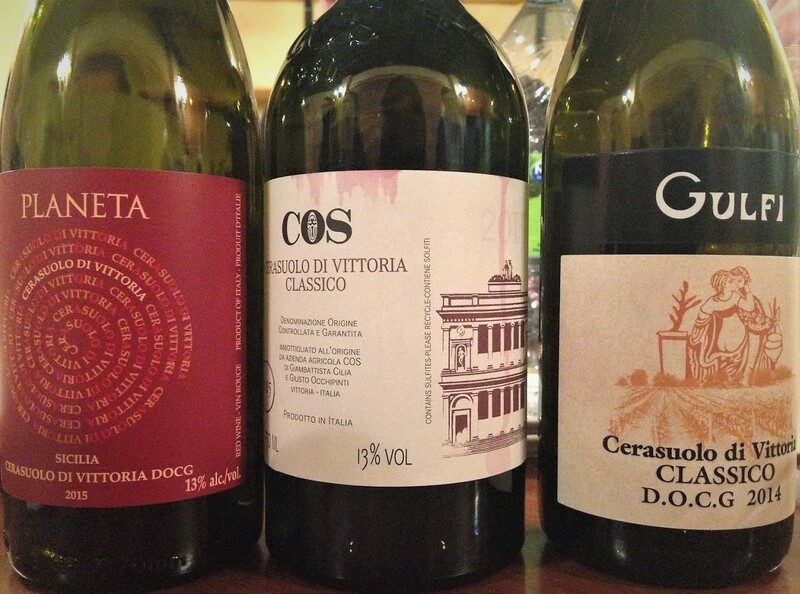 Though Cerasuolo di Vittoria has been made since the 17th century, it wasn’t granted DOC status until 1974. Since 2004, it has been Sicily’s only DOCG. By law, Cerasuolo di Vittoria must be a blend of Nero d’Avola and Frappato, with the former constituting between 50 and 70%. Within the DOCG is a large zone, centred around Vittoria and including the original DOC, whose wines are entitled to the Classico designation provided they have been matured 18 months or longer. A 50-50 blend of Nero d’Avola and Frappato from vines rooted in sandy top soil over tufa. The two vineyards are at 70-80 metres above sea level. Manually harvested. Destemmed. Macerated on the skins for 14 days. Fermented in temperature-controlled (23°C) stainless steel vats. Gently pressed in a vertical press. Matured in stainless steel tanks. Reducing sugar: 2.8 g/l. 13% ABV. Quebec agent: La Céleste Levrue. A 60-40 blend of Nero d’Avola and Frappato from organically and biodynamically farmed vines averaging 25 years old. Elevation: 230 m. Fermented in stainless steel tanks on the skins and with indigenous yeasts. Matured 15 months in 20- and 40-hectolire Slavonian oak foudres and several months in bottle. Unfiltered. Reducing sugar: 2.0 g/l. 13% ABV. Quebec agent: oenopole. A 70-30 blend of Nero d’Avola and Frappato from organically farmed vines from a single vineyard near Ragusa. Elevation: 400-500 m. The varieties are vinified separately. The manually harvested grapes are given a short cold-maceration, followed by fermentation in stainless steel for about two weeks. After pressing, the base wines are blended and matured a few months in stainless steel tanks. Reducing sugar: 3.4 g/l. 14% ABV. Quebec agent: Bambara Sélection.